Why fight the crowd at the grocery store when you can quickly pick up your turkey at a nearby Whole Foods? Or better yet, have your turkey delivered straight to your door? Amazon and Whole Foods want to make Thanksgiving that easy for you. Amazon and Whole Foods announced amazing turkey deals, and customers can take advantage of them starting today. The deals include select organic turkeys for $3.49 per pound and zero-antibiotic turkeys for $2.49 per pound. Prime members will save even more, with organic turkeys priced at $2.99 per pound and no-antibiotic turkeys priced at $1.99 per pound. And for those who aren’t Prime members but sign up for Prime, they receive $20 off their next Whole Foods in-store purchase of $20 or more. Not a bad deal. Don’t wait, though. The deals expire on Nov. 23, with Nov. 22 the last day to take advantage of Amazon and Whole Foods’ offer. 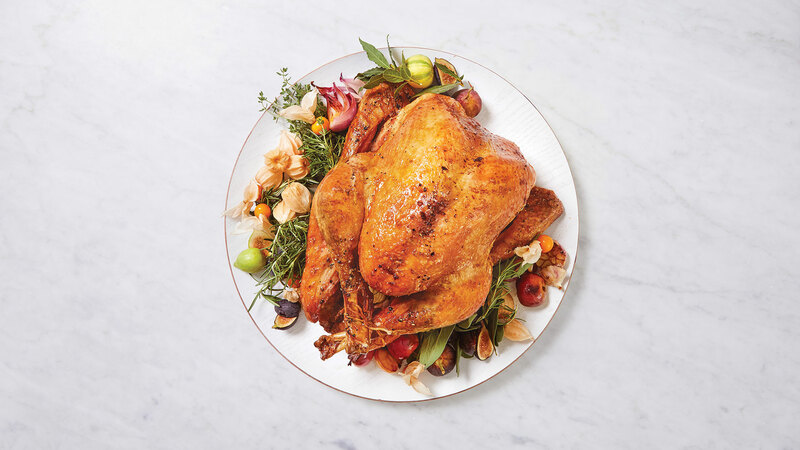 If you can’t or don’t want the turkey now, you can always reserve your turkey in advance on Whole Foods’ website. In addition to turkey deals, Prime members can also save on many Thanksgiving fixings, including organic cranberries (priced at $2.99 for a 12-ounce bag) and beef broth (priced at $6.99) and save an additional 10 percent off Whole Foods’ storewide sale items. Who says Thanksgiving has to be stressful?